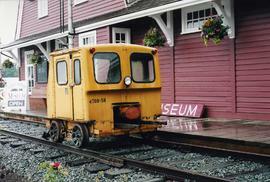 Photograph taken at the Agassiz Musuem which was found in an old railway station, which was relocated. Captured is the front view of a CPR speeder. Photograph taken at the Agassiz Musuem. 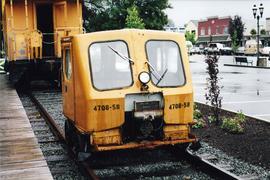 The rear view of a CPR speeder is visible.